Posted May 9th, 2016 by Mobile Music School & filed under Educational - How to Guides. Here at the Mobile Music School, we place a great emphasis on integrating both music and art into the school curriculum. What better way to fuse both passions together than to make your own homemade instrument! One of our favourites is the rainmaker. These instruments are simple to make, fun to play and are made with minimal mess – a great crafty classroom project to get everyone involved in the art and music-making process. Rainmakers are traditional musical instruments that originate from South America. 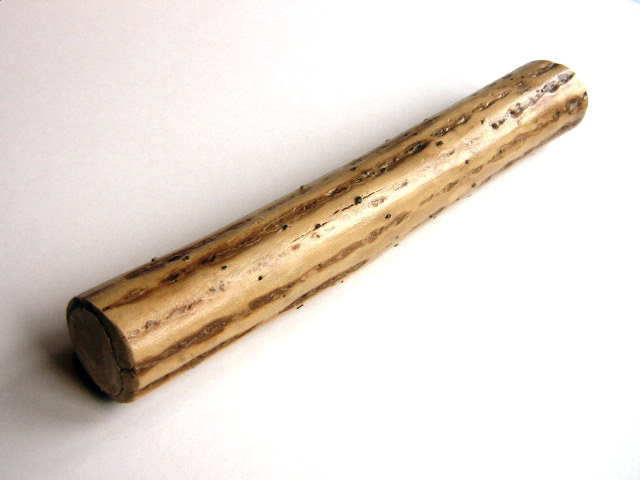 It is believed that these long, hollow tubes (also known as rainsticks) were invented by the Aztecs and played to induce rainstorms during dry months. As the instrument is upended, its contents (usually pebbles or dry rice/beans) flow from one end to the other, simulating the sound of rain. 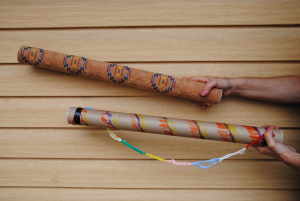 Traditionally made from dried out cactus, rainmakers can also be made from household materials. 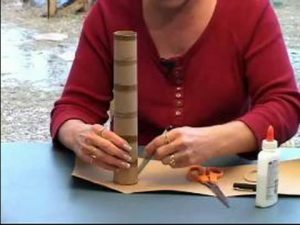 Measure the ends of the tube by tracing them on a cardboard piece of paper. Cut both circles out, ensuring that they cover the top and bottom of the tube. Using glue, stick one of the circles to the end of the tube. Be sure it is tightly secured so that the contents do not fall out. Stand the tube up vertically with the closed end flat on the surface, and fill it with rice. A fuller tube will result in a louder rainmaker; fewer contents will make a quieter one. Glue the second circle to other end to close the rainmaker. Wait for the glue to dry before beginning to play. To personalize your rainmaker, add paint and glitter, or glue sequins and ribbons on to give it some extra colour. These quick and easy instruments can be made by children as young as just 4 or 5, and with minimal supervision. Our team of professional tutors have found them to be an excellent resource for introducing students to music and rhythm, and a great way for children to explore the sounds of percussion. We also think it is important to teach students about sounds and instruments from different cultures. Our ‘Percussion in the Classroom’ programmes and ‘Let’s Drum’ workshops incorporate a wide range of musical instruments such as the snare drum, the Djembe drum and other African drums.